photo by Photo by Steven Gelberg. Right Brain Performancelab is a company that explores the paradoxes of existence by way of metaphor. Their performances are darkly comic, edgy and vaudevillian. 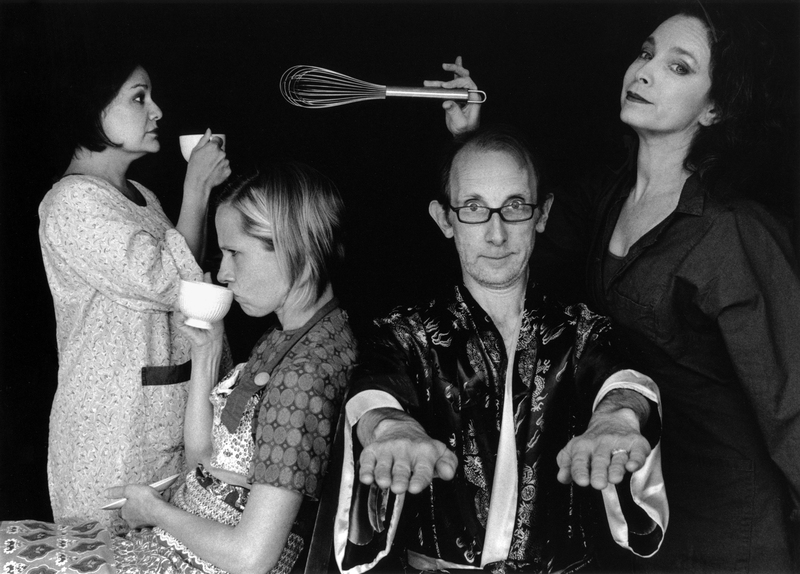 The Performancelab began in San Francisco in 1999 as a collaboration between John Baumann and Jennifer Gwirtz who intersected their work in theater, dance, music, puppetry, philosophy, performance art and videography to create a hybrid, minimal style of performance that is accessible, simple and rich. Over the years many wonderful performers have joined the Performancelab as collaborators, including Laura Marsh, Lisa Claybaugh, John Baumann, Bob Marsh, JoAnn Selisker, Natalie Marsh and others! 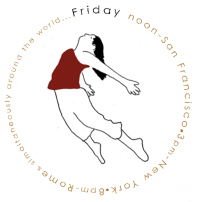 This year's Dance Anywhere project will be a coordinated improvisational performance by Right Brain Performancelab collaborators and friends past and present from San Francisco, New York, Weimar and Hong Kong. Various locations in the U.S., U.K., Germany. Danced with John Baumann, Claudia Dunse, Jennifer Gwirtz, Apryl Renee Pipe, Jennifer A. Minore, Liz Filippone, David Samas and his cockatoo, Petal. Danced with John Baumann, Barbara Booth, Liz Filippone, Jennifer Gwirtz, Apryl Renee Pipe, David Samas. Our compilation features five simultaneous performances in San Francisco, Albany, NY and Kingston upon Thames, London.